If you're going to celebrate New Year's in Walt Disney World, think about making dining reservations. All of the theme parks will be extremely busy with long lines and limited seating at the counter serve venues. La Hacienda de San Angel - This dining event takes place from 9:30 p.m. - 1:00 a.m. and will include a five-course, prix fixe meal featuring a Surf and Turf entree, live mariachi music, tequila, and views of IllumiNations. The New Year's Fiesta is $280.13 per adult and $73.54 per child (ages 3-9) including tax and gratuity. Call (407) WDW-DINE for reservations. Monsieur Paul - Seatings are available between 12:00 and 6:30 p.m. for a prix-fixe classic French meal, priced at $110.81 per person (includes tax and gratuity). The lunch menu includes braised short ribs with bordelaise sauce, roasted halibut with beurre blanc sauce, roast turkey, and more. At dinner, look for a fish course featuring roasted black bass with a lobster mousse or black halibut served with seared scallops in a Champagne sauce, plus a meat course of roasted venison loin or quail stuffed with truffles. Both meals are served with appetizers and side dishes, plus a special New Year's Eve dessert. New Year's Eve Dinner at the World ShowPlace Pavilion - Close out the year at Epcot's World ShowPlace listening to Disney tunes at a family-friendly, special New Year’s Eve buffet. The wide-range of menu items include creamy seafood and corn chowder, tomato basil soup, seafood mac and cheese with butter-toasted panko, fried chicken breast with corn gravy, and apple cider braised pork with roasted apples and cherries. Younger guests will enjoy the chicken fritters, meatballs with red sauce, and more. For dessert, try a key lime raspberry gltter tart or a snow-dusted hazelnut-stuffed chocolate bundt cake. Photo ops will be available, but there will not be Disney characters present. Price is $72.90 for adults and $44.38 for children ages 3-9 (tax and gratuity included). The Disney Dining Plans is accepted for this event – 2 table-service meals are required per person. Available from 3-9 p.m. on New Year's Eve and can be booked by calling (407) WDW-DINE. Rock in the New Year at the House of Blues Courtyard on the West Side of Disney Springs while enjoying a DJ Dance Party, complimentary champagne toast, and drink specials all night long with no cover charge. A midnight breakfast buffet will be offered on a first-come, first-served basis for $10 per person in the Courtyard as well. The buffet will include traditional breakfast items such as scrambled eggs, sausage, hickory-smoked bacon, biscuits and gravy, waffles w/syrup, and coffee. This event is open to all ages, but guests must be 21 years of age to consume alcohol. New Year's Eve 2019 at The Edison - The Industrial Gothic-style restaurant will host a dazzling gala and serve extraordinary food, exceptional cocktails plus a spectacular lineup of world-class entertainment. Doors will open at 7:30 p.m. which will allow attendees plenty of time to eat, drink, and be merry, leading up to a special midnight toast to ring in 2019. Tickets are $150 (plus tax and gratuity) per person. Must be 21 years of age to attend. Tickets can be purchased at The Patina Group. UPDATE: This event is SOLD OUT! 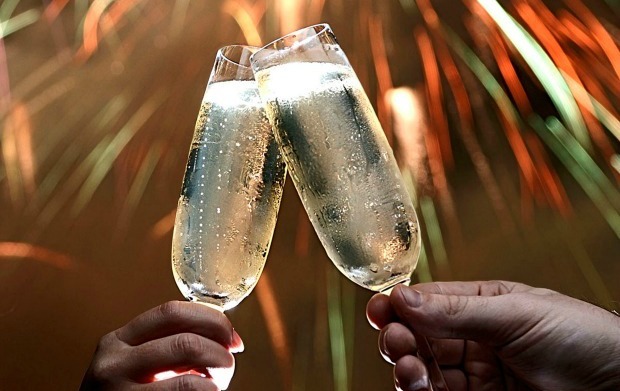 Amorette's Patisserie will have a special Fairytale Champagne to ring in the New Year. 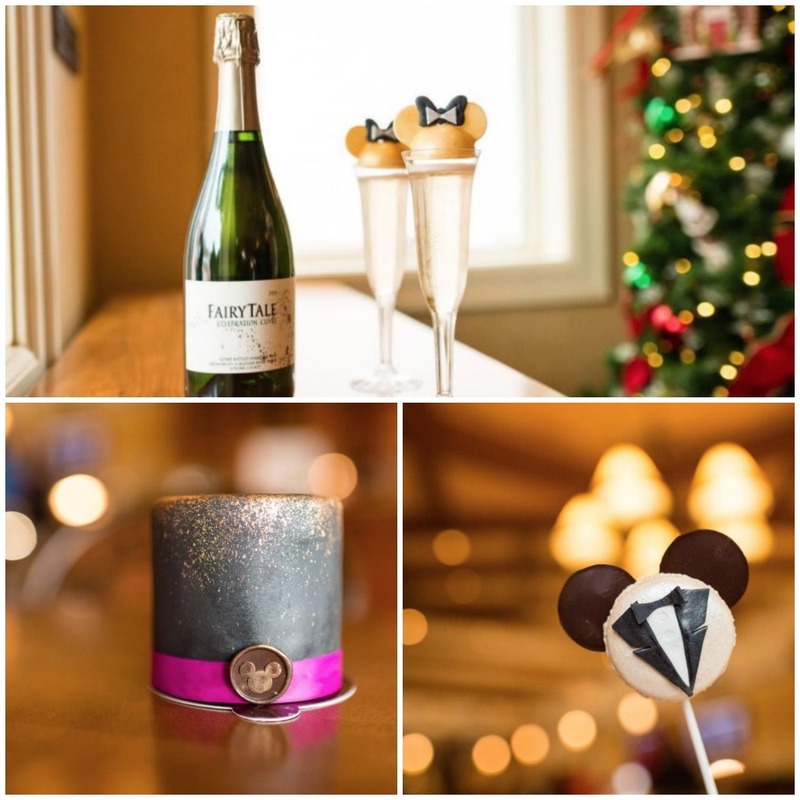 Other goodies include a Midnight Cheers Petite Cake and a tuxedo Mickey Macaroon Lollipop with salted caramel ganache available beginning December 31 and while supplies last. Disney's Contemporary Resort - New for 2018! This New Year’s Eve, welcome in 2019 with a festive, family-friendly frolic through some childhood joys during Pixar Party: A New Year’s Eve Celebration at Disney’s Contemporary Resort. Sarge from Pixar Animation Studios’ Toy Story films will welcome you as you arrive at the second floor of the resort. Once inside, you will discover spaces that have been transformed with scenes from beloved Pixar movies. Being enveloped in the worlds of various Disney•Pixar films, like Inside Out, The Incredibles, Finding Nemo, and Up, including meeting some of your favorite characters. Kids’ activities, including Boot Camp with Sarge, Pixar Face Painting, and a balloon artist creating favorite Pixar characters. An interactive DJ spinning Radio Disney hits from his Cars-inspired DJ Rig, complete with tires and road signs right out of Radiator Springs. A delicious buffet dinner, including Woody’s Favorite Lemon Thyme Chicken Breast, Wall-E’s Pan Seared Mahi-Mahi, Rex’s Manhattan Filet, Sulley’s Beast White Cheddar Baked Mac & Cheese, build-your-own salad options, desserts, kids’ favorites like chicken fingers and more. A viewing of the famous Magic Kingdom New Year’s Eve fireworks. Tickets are $190 per person, including tax and gratuity. This New Year’s Eve, dress up and party during Disney Countdown to Midnight – an evening of dining, dancing, and enchantment in the Fantasia Ballroom at Disney’s Contemporary Resort. Come discover a world sparkling with magic – everything from a Mickey Mouse mirror ball to Disney Character topiaries – as you move and groove to the high-energy New Year’s Bash Band and a live DJ providing music all night long. A “cheftainment” station featuring a seasonal menu inspired by some Disney Signature Dining restaurants – with a touch of Disney magic. A special appearance by Mickey Mouse and Minnie Mouse. At the end of the night, guests will be invited out to the porte cochère, where they will receive a Champagne flute and welcome 2019 with a viewing of the famous Magic Kingdom New Year’s Eve fireworks. Tickets are $275, including tax and gratuity. 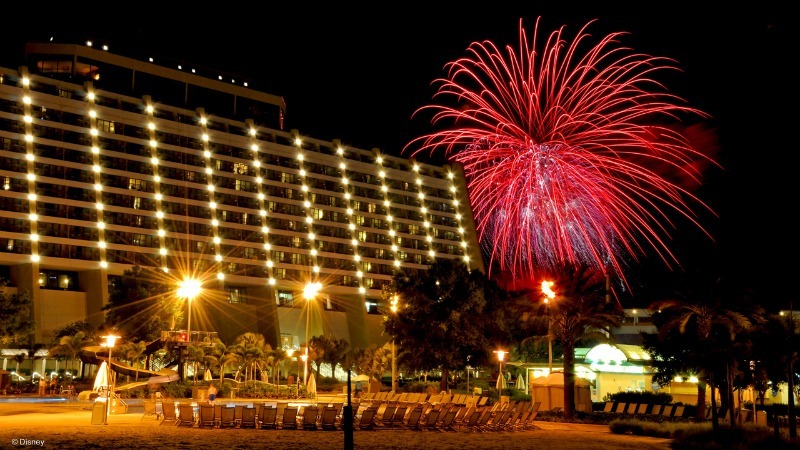 Offered only as a VIP enhancement to the Disney Countdown to Midnight party and located adjacent to the Fantasia Ballroom at Disney’s Contemporary Resort, this special reception begins prior to the opening of the main event. At the Ink and Paint Club, guests will step back in time into a vintage Disney Animation-inspired room with silver Chiavari chairs, metallic tables and references to classic Disney Animation filling the room. Ticketed guests can visit the lounge throughout the evening, starting with a featured reception from 7-8 p.m.
Photo opportunities with Mickey Mouse and Minnie Mouse with a unique Disney Animation backdrop. A pianist providing live entertainment. Chef stations featuring king crab, tuna tartare, sheep’s milk ricotta gnocchi, cocktails, Champagne, cordials and more – all included with admission. Reserved seating in the Disney Countdown to Midnight Party when it opens at 8 p.m.
Disney Ink & Paint Club is only available as a part of an enhanced ticket that includes access to both the Disney Countdown to Midnight and the Ink & Paint Club for $450 total per guest. Access to Ink & Paint Club must be purchased concurrently with the Disney Countdown to Midnight ticket and cannot be added on at a later date. Ring in the New Year with incredible delicacies, dancing, music, surprise guests, and the perfect spot to watch Magic Kingdom fireworks. Grilled Spanish octopus, jumbo poached prawns, king crab legs, Cherrywood bacon lardons, fragrant poached lobster salad, vanilla-honeysuckle-scented goat cheese, assorted charcuterie, and more. Duck confit flatbread, braised beef or pork belly bao buns with house-made pickled vegetables, spit-roasted suckling pig tacos, Japanese pumpkin bisque, and smoked marble chips, to name a few. Choose from an array of maki, sashimi, nigari, and other original creations. Wide selection including grilled Skull Island prawns, butter-poached Maine lobster tail, prime beef ribeye, house-made Japanese pumpkin-mascarpone agnolotti, American Kobe short ribs, wild mushroom risotto, and more. Smorgasbord of artisanal cheeses and desserts. A live DJ will be on-hand to take guests down memory lane with tunes from the 80s. Mickey, Minnie, Baby New Year Donald, and Father Time Goofy will pay a visit too. Be sure to head over to the photo booth to snap some pics with fun party props, then share on social media using our special event hashtag. At midnight, ring in the new year with a champagne toast and spectacular view of the fireworks show in Magic Kingdom park! To purchase tickets for any of the above events, call (407) WDW-DINE. Narcoossee's - Two dinner seatings will be offered; the first will be between 4:45 and 8:00 p.m. and the second will be between 8:30 to 11:55 p.m. During the first seating, a four-course menu will be available. The second seating is five courses. A pre-set holiday menu will be served; regular menu items are not offered during this event. The price for the first seating is $211.65 for adults and $93.18 for children ages 3-9. The price for the second seating is $342.38 for adults and $124.50 for children ages 3-9, tax and gratuity included on all listed prices. Victoria & Albert's - A butler-served dinner (prix fixe menu) will feature eight courses with wine pairings, plus two dessert courses. A harpist will entertain and guests will go home with a personalized menu and a long-stem rose (for the ladies). Seatings are between 6-7:45 p.m. $600 per person. 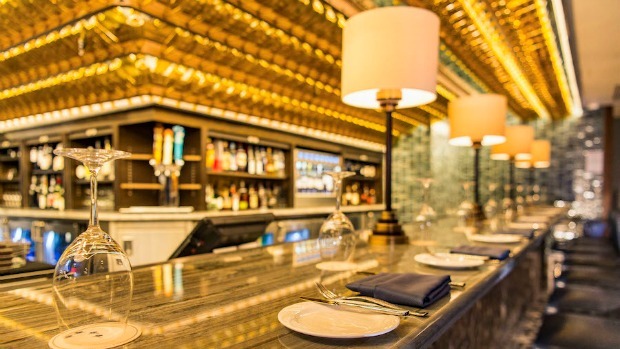 Flying Fish - Guests can ring in 2019 at Flying Fish with two dinner seatings. The first seating is from 5:00 p.m. - 6:30 p.m. The second seating, which includes a Sustainable Seafood Tower, is from 8:30 p.m. -10:00 p.m.
For reservations, call (407) 939-2398. Fort Wilderness New Year’s Eve Beach Party - Guests can ring in the new year from Clementine’s Beach at Disney’s Fort Wilderness Resort & Campground – a new dessert party serving up delicious sweets and specialty beverages with beautiful views of the Seven Seas Lagoon and the fireworks spectacular from Magic Kingdom Park. Kick off your evening by indulging in an assortment of freshly prepared desserts, seasonal fruits, cheeses, and refreshments - including beer and wine. The party will take place on December 31, 2018, from 10:00 p.m. to 12:30 a.m. on January 1, 2019. Cost is $99 per adult and $59 per child (ages 3 to 9) not including tax; gratuity not included or required. To book, visit Disneyworld.com/dine or call (407) WDW-DINE. 4:00-11:00 p.m. Along with the regular menu, there will also be dry aged bone in filet served with chive whipped potatoes, bacon braised spinach, brown butter parsnip puree, grilled asparagus, sauce bearnaise $60 (tax and gratuity not included). Time: 8:00 p.m. - 2:00 a.m.
Atlantic Dance Hall at Disney’s BoardWalk invites you to ring in the new year with rockin’ music, tasty treats, high spirits and an enchanting dash of Disney magic. Dance the night away while you enjoy tasty treats such as antipasto and charcuterie, plus a late night dipping station. Also, fill up on cheeseburger spring rolls, pork pot stickers, vegetable samosa, and a create-your-own slider and taco bar. In addition, you can celebrate the new year with complimentary party hats and horns, a view of the sensational Epcot fireworks, and a champagne toast at midnight. Guests must be 21 years or older with valid ID to enter. For reservations, call (407) WDW-DINE.